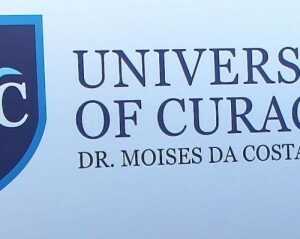 WILLEMSTAD - It is with great pride that the Faculty of Social Sciences and Economics can announce that the quality of the new bachelor program in Human Resource Management (BHRM) at the University of Curaçao Dr. Moises da Costa Gomez (UoC) has been positively assessed by the NVAO (Nederlands-Vlaamse Accreditatie Organisatie) on all 11 NVAO quality standards. In February 2018 an international panel of the NVAO visited the program in order to evaluate the program with program management, the teaching staff, the examination committee and representative of the workfield of HRM. At the end of the site visit, various members of the panel acknowledged that this program has a unique combination of national and international perspectives, preparing students to be able to function locally, regionally as well as internationally. In their conclusion, the NVAO judged that the program has a clear vision of what is needed from an international perspective, based on assumptions of the Society for Human Resource Management (SHRM), the perspective of the professional community of HRM in Curaçao and the perspective of the Landelijk Overleg Orgaan HRM (LOO-HRM) in the Netherlands. Furthermore, they concluded that the focus of the program is on educating a HR professional who contributes to the development and the accomplishment of the organization-wide business plan and objectives. The strong pillars of the program are not only the theoretical parts, but can also be found in the practical objectives of the curriculum. In addition, in their third year, students of the BHRM program participate in the international conference of the Society for Human Resource Management, held in the United States, where they gather the most recent and cutting edge knowledge and skills in their field of expertise and will start building their international network. During their fourth year the students will also be exposed to regional professionals in a workshop on one of the four possible topics, namely: Talent Management, HR Analytics, Strategic Workforce Planning or Leadership. One of the salient conclusions of the NVAO is that the vision and intended learning outcomes of the program are in line with the vision and priorities of the local HRM environment. Furthermore, the NVAO concluded that the intended learning outcomes are ‘state of the art’, relevant and meet the bachelor level. The curriculum is in line with the intended learning outcomes, covers all the intended learning outcomes and meets the bachelor level. The NVAO further goes on to mention that the program is a professionally directed educational program. Development and application of knowledge, training in professional skills and the correct professional attitude are integral parts of the program. The research orientation of the program supports the practical development of the students at a high level. The staff, students and graduates of the Faculty of Social Sciences and Economics can be proud of the BHRM program. The Bachelor program in HRM offers the opportunity to students with a degree from the havo, vwo or sbo level 4, to continue their full-time education in the field of Human Resource Management at the University of Curaçao. If there is sufficient interest the UoC will start with a part-time, non-regular program HRM in the future. This part-time program is meant for professionals already working in the field, who want to obtain a bachelor's degree or want to enhance their knowledge and skills with the most cutting edge standards.